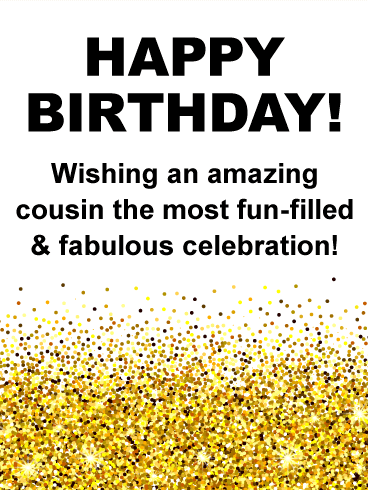 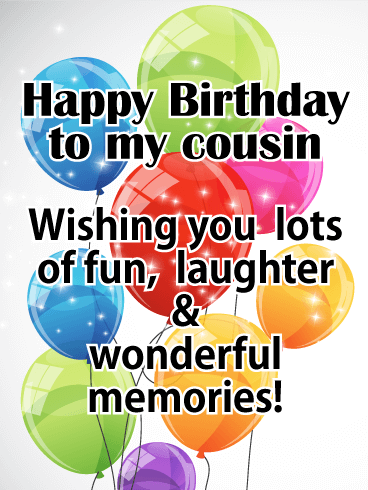 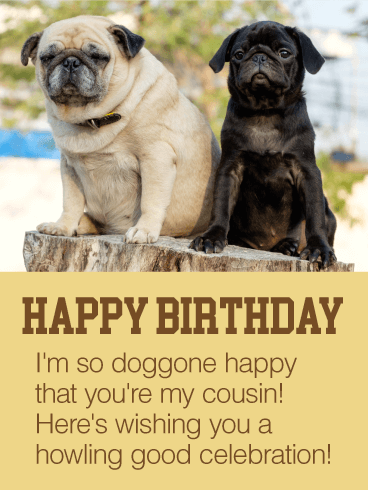 Happy Birthday to my cousin - Wishing you lots of fun, laughter & wonderful memories! 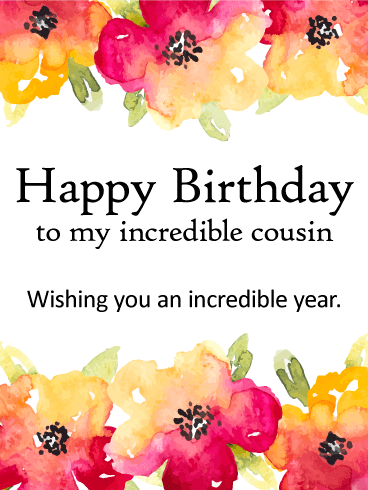 Sometimes our cousins become our best friends. 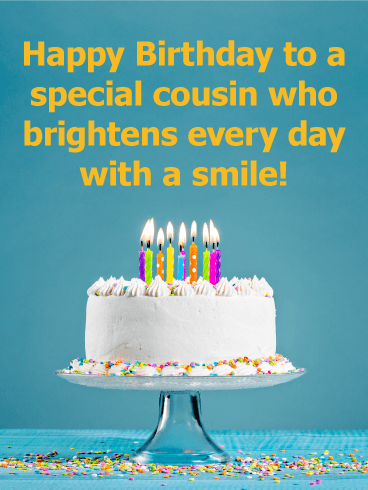 And when that happens, we feel happy and blessed. 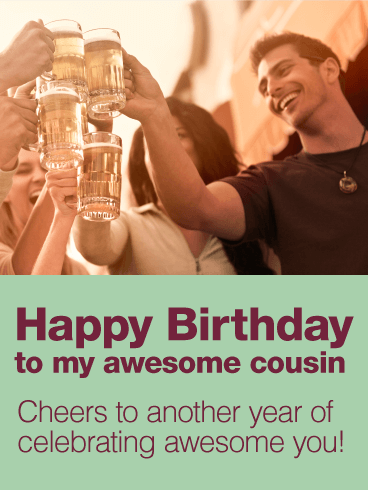 That's exactly what this charming birthday card expresses for your special cousin who's celebrating a birthday. 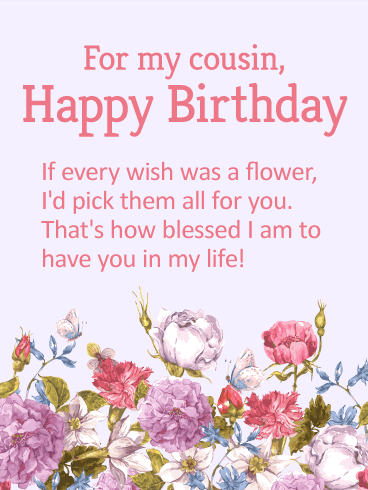 Sweet daisies dot the top of the rustic background, setting a bright and cheerful tone to go along with the heartfelt message below. 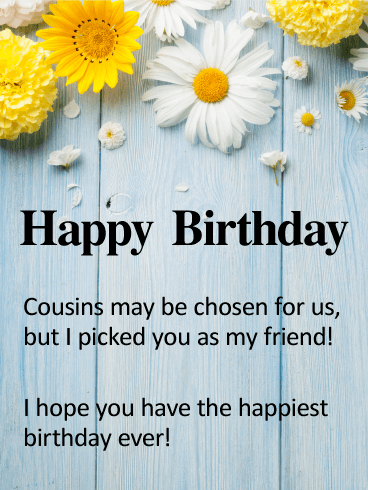 A soothing purple background, with a garden of lovely flowers filling the space below, adds to the warm and wonderful sentiments shared in this birthday card. 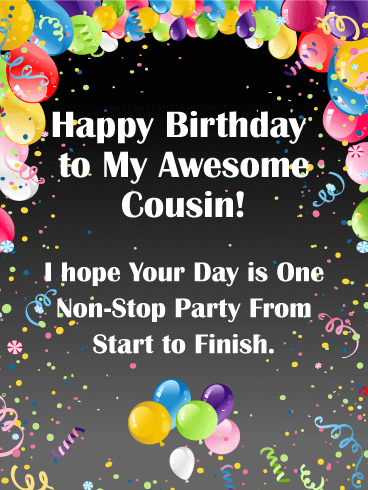 Specially created for a cousin you care about, the words will remind her just how important she is to you. 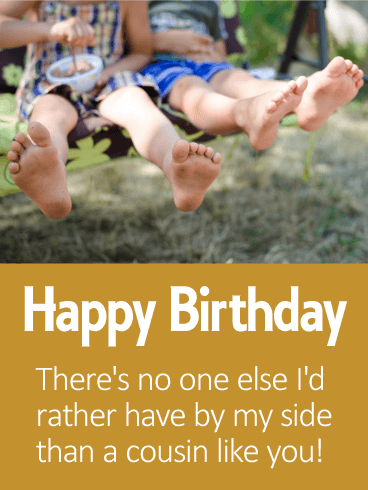 And whether you see her all the time, or wish you could spend more time together, she'll know that you're thinking of her, today and always. 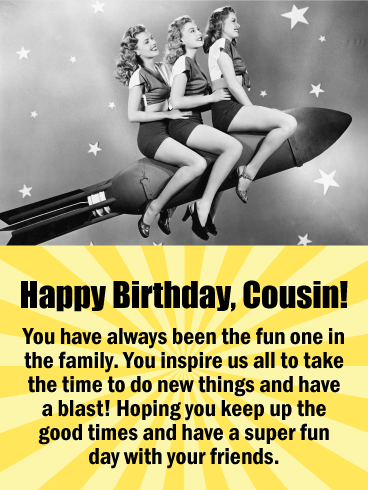 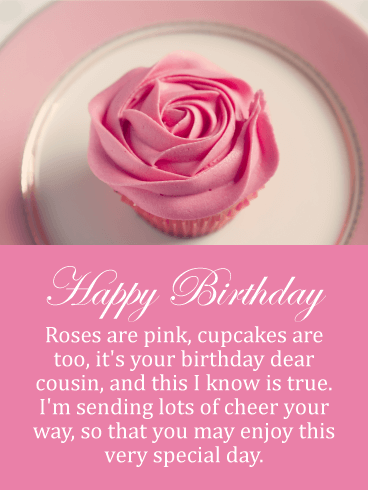 Send your warmest birthday wishes to a wonderful cousin with this beautiful card. 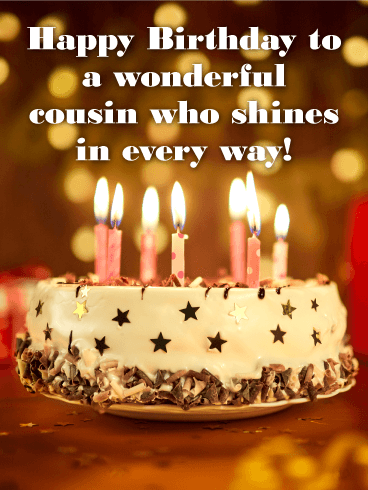 A candle-lit cake decorated with glittery gold stars will remind them how much they shine in your eyes, every day and in every way.